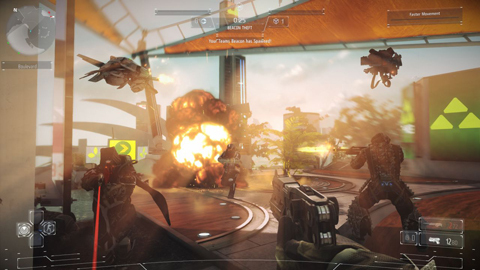 Killzone Shadow Fall, the latest in the long running Killzone series from Guerilla Games, is being promoted as the showcase game for the new Playstation 4. For the most part, the game does a good job of introducing the capabilities of Sony’s new console. It checks off all of the requisite boxes on the first person shooter checklist, but it never really manages to achieve anything great. The story takes place many years after the previous three games, where after repelling a Helghast invasion of Vekta, the Vektans followed the Helgast to their home planet and basically ended up annihilating their planet. After a crazy drunken night of partying the Vektans, still absolutely wasted, decide to let the remaining Helgast come back to Vekta with them. The Helgast are given half the planet, allowed to militarize, and a giant wall is built between them. Or at least this is how I assume they came to that decision. That is the completely unbelievable setup to Shadow Fall: the Helgast are right on the other side of this wall and are plotting revenge. The story is told primarily through cutscenes that set up each mission and occasional radio messages sent to you during gameplay. There are also audio logs that you can find in the levels, but they tend to contain secondary information that is not very important. The audio logs play out of the new speaker on the Playstation controller. I found this to be rather obnoxious for a couple of reasons: the audio quality of this speaker is not great, you cannot adjust the volume of it from in-game, and it’s awkward to have audio come from my controller when I am using headphones for everything else. The narrative tries to add some moral ambiguity over who the “bad” guys really are, but it is hard to care when none of the characters are particularly likeable and everyone is in a bad in a situation of their own making. The actual shooting mechanics feel tight and responsive, and there is a good selection of weapons to use with some of them offering secondary fire modes. The highlight of the gameplay is a little hovering drone you have called the OWL. You can send it out to attack enemies and provide covering fire, deploy a one way shield in front of you that allows you to shoot out of it, and EMP strike an area disorienting enemies and removing shields. It also has an ability to deploy a zip line allowing you to reach areas you otherwise would not be able to, but this sees limited use in mostly pre-determined areas. It can also heal you if you die, given that it’s not currently recharging and that you have medical supplies available. You have to swipe in various directions on the touch pad to change which mode the OWL is in. It is a bit inconvenient as you have to take a hand off of a thumbstick to do what basically amounts to a button press. Hopefully developers will come up for more creative uses for the touch pad later on. Speaking of controls, the game only has two control layouts to pick from and both of them only swap what the triggers and shoulder buttons do. There is absolutely no way to change what the face buttons on the controller are assigned to. This seems sloppy, as it should be pretty trivial to allow remapping of buttons. It is a bit disappointing that you are required to hold on to your primary weapon at all times. Since you can only hold two weapons at a time, this really limits the number of loadout configurations you can have. Want to have a sniper rifle and a shotgun? Sorry, you have to hold on to that Assault rifle you started with that has no ammo left. The enemy AI is not particularly smart. They will run around corners into your line of fire one after another, decide to climb ladders in the middle of a gunfight, and don’t really make much of an effort to flank you or seem to work together in any meaningful way. The game tries to make up for this by either sending large amounts of them at you at once, or giving them energy shields that turn them into bullet sponges. It can make for frantic fights at times, but for the most part they are not particularly interesting opponents. Repetition also becomes a problem later in the game, as there is just not a lot of variety to what you fight. They do add some robots in towards the later stages, but they are used sparingly and don’t really do enough to keep the combat feeling fresh. The game has a fairly limited cover system that allows you to crouch behind cover, but it feels really unfinished. There is no button to go into cover, but if you crouch behind cover of the right height you will automatically peak over when you aim down the sights. It is often hard to tell if the cover you are hiding behind is actually tall enough, and when you aim down sights you get anchored to that cover preventing you from moving. The cover also only works vertically, so you cannot take cover around corners or at doorways. What really kept me playing the game was the level design that included a number of cool setpiece moments. You are constantly on the move from one area to the next. Some of the more interesting highlights include a ship that is flying into the sun, where you can shoot out windows to burn enemies and melt parts of the ship, and a floating train yard where high speed trains are flying all around you as you jump from platform to platform. Killzone earns its highest marks in presentation. The graphics are undeniably better than last generation consoles, although anyone with a high end PC has been seeing graphics as good as this for a few years now. The biggest improvement is that is it actually rendering natively in 1080p at 60 frames per second. The game has a nice artistic style that unfortunately often goes overboard with the lens flare and reflective surfaces because apparently almost nothing on Vekta absorbs light. Texture quality and lighting is impressive, although the lighting is completely static. You cannot shoot out lights or otherwise effect the lighting in the environment. Characters are a bit mixed. In the pre-rendered cutscenes they look pretty great and are expressive. During actual gameplay they tend to look a bit stiff with faces that don’t move much and eyes that don’t blink. There also seems to be some issues with lip syncing at times as well. It is also worth noting that the graphics quality seems to have been turned down a bit for the multiplayer, perhaps to provide a more reliable framerate in the unpredictable online modes. 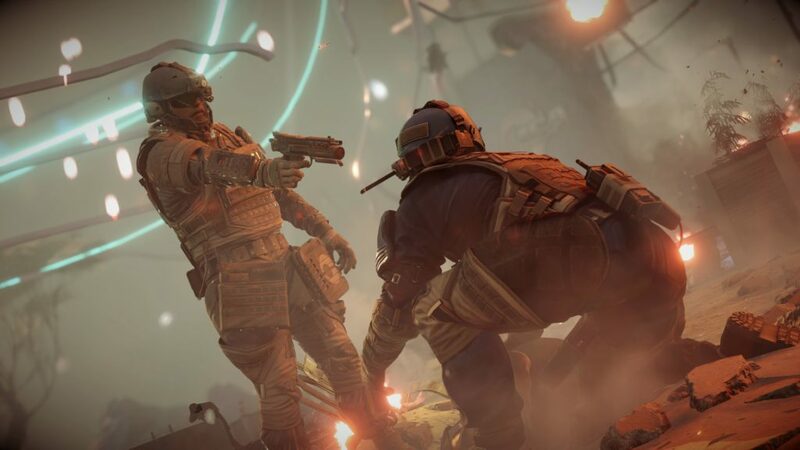 A lot of people are going to be picking up Killzone for the multiplayer, and I am happy to say that I can recommend it for that without any reservations. Pretty much everything you need for a good multiplayer experience is here: fast matchmaking, unlocks and customizable loadouts, solid map design, lots of game modes, and the ability to customize to your satisfaction. When you set up a lobby you can determine everything from which weapons and abilities are allowed to which game modes pop up. 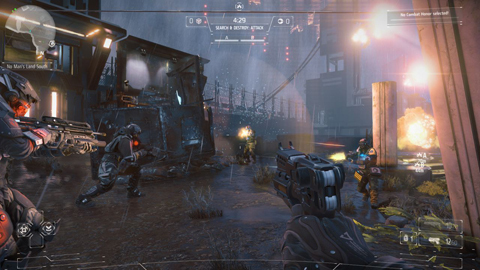 The highlight of multiplayer is the Warzone mode, which consists of a variety of different game types that change during the match. 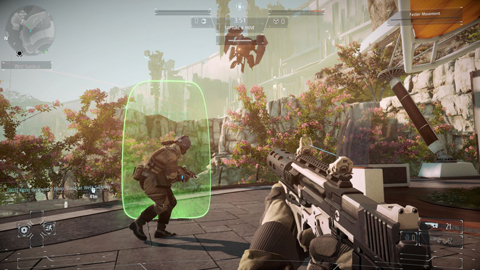 For example, a match might start out as team deathmatch, change to a capture and hold mode, before finally switching to a defend and destroy mode. The side that completed the most objectives by the end wins. 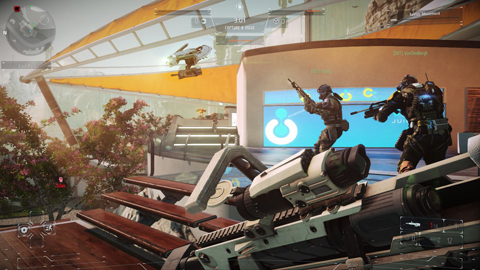 Overall, Killzone Shadow Fall is a by the numbers first person shooter whose main draw is its graphics and multiplayer. The single player is a mostly repetitive and forgettable experience that only occasionally reaches greatness during certain setpiece scenes, while its multiplayer offers enough depth to keep people playing for a while. As a launch title it does a decent job at introducing us to the new capabilities of the Playstation 4 and is worth picking up. 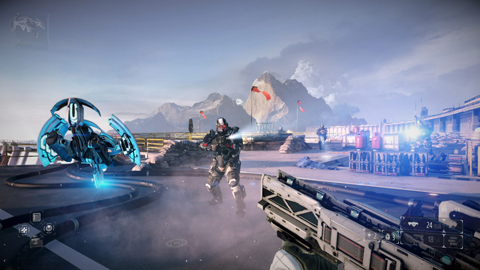 A year from now though, Killzone Shadow Fall probably won’t be worth your time. As a launch title it does a decent job at introducing us to the new capabilities of the Playstation 4 and is worth picking up. 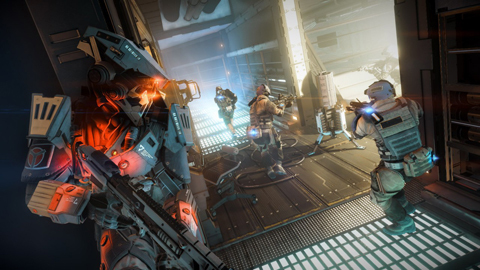 A year from now though, Killzone Shadow Fall probably won’t be worth your time.